Eight men have been sentenced after pleading guilty to conspiring to supply cocaine in Crawley. The men were given a total of 25 years in jail at Hove Trial Centre on Friday (July 24), said police. Kharrum Mohammed Chaudary, 35, of Anglesey Close, Crawley, was jailed for ten years and given a serious crime prevention order. Andrew James Pepler, 29, of Forge Way, Billingshurst, was jailed for four years and nine months. Martin Wynn Jones, 27, of Fennel Crescent, Crawley, was jailed for three years and four months. Daniel Francis Kearsey, 32, of Deerwood Road, Crawley and Joseph Green, 24, of Coombe Vale, Saltdean, Brighton, were both jailed for two years, suspended for two years and ordered to do 200 hours unpaid work. William Houston, 30, of Maiden Lane, Crawley, was jailed for 12 months, suspended for two years, with a four month curfew. 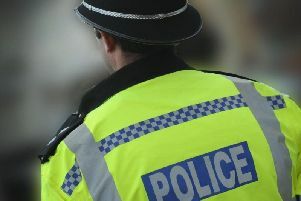 Ryan Ramadan, 27, of Sheraton Walk, Chippendale Road, Crawley and Luke Farnham, 27,of Chasewood, Weirwood, Furnace Green, Crawley were both jailed for nine months, suspended for 18 months, with 100 hours unpaid work. The men were arrested on February 5 following warrants carried out at nine addresses in Crawley and Billingshurst by officers from the South East Regional Organised Crime Unit (SEROCU) and Sussex Police. Police seized 750 grams of high purity cocaine. The men were all charged on February 6 with conspiring to supply the Class A drug in Crawley between June 25, 2014 and February 6. Det Insp Mark Chapman of SEROCU said: “This investigation, conducted with Sussex Police, is just one example of the joint working we carry out to help keep organised crime groups and harmful drugs off the streets of Crawley. “It is SEROCU’s aim to pursue relentlessly serious crime such as this which bring harm and misery to the communities in the South East. I hope the severity of the sentences ensures these men will have plenty of time to consider whether the crime was worth it. Superintendent Jane Derrick, said: “This operation was aimed at disrupting drugs supply in the town and targeted those who bring misery to our community. Our officers from Sussex Police assisted by our colleagues in the South East Regional Organised Crime Unit work together to target those who are dealing illegal drugs in our community and bring them to justice. Chaudary, Pepler and Jones have been sentenced to more than 20 years between them which is a significant and excellent result for the teams who have been working on bringing this gang to justice.